3 Girls Reviews: Win BIG from Nellie Bug's!! I fanned 3 girls review on Facebook! Posted on facebook and tagged 3 Girls Reviews as well as Nellie Bugs Tutus and More! I follow your page and Nellie Bugs on facebook! i fan nelliebugs on fb. i fan 3girls on fb. Followed!! <3 I hope I win! I follow on FB & on here! :) Oh, and I stalk Saddie on cafemomm. :P Jk. Posted about your giveaway on my FB! I am a fan of 3 Girls Reviews on fb! 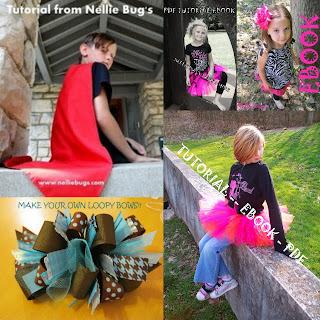 I am a fan of Nellie Bug's Tutus & More on fb! i follow 3GirlsReviews on twitter! I now follow your blog!! I have been following your new blog. cdjmoments@gmail.com if you are verifying the email address I may be listed under drvance19@gmail.com. Fan of 3Girls on FB. just posted the giveaway on my facebook wall! I'm a fan of Nellie Bug's on facebook! I follow your blog, fan of your FB and Nellie Bugs. I re-posted this on facebook. I'm a fan of 3girlsreviews on facebook! 3 girls review on Facebook! Fan of Nellie Bug's on FB. Woo-hoo, made my first purchase from Nellie Bug's on 11/6. I am a fan of 3girls reviews on fb! I am a fan of Nellie bugs on fb!